On balance I think I'd have to say that I like surprises. My wife doesn't: she's the one taking a sneaky peak at the kids presents before Christmas comes: the one who can't wait to see what's for tea so looks in every pot and always opens the oven door for a big reveal. For me, however, there's still something quite magical to be experienced. There is always the prospect of disappointment but no one will want that intentionally so usually there can be excitement, delight and even euphoria to be had. 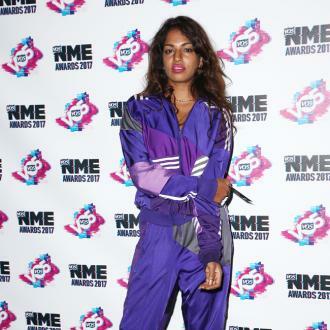 I hadn't taken a sneaky peak at the new M.I.A album, not heard a whisper (Despite it would appear to me now the numerous pre-release tracks), missed Steve Lamacq and guests reviewing it on Round Table due to unexpected guests and not caught any air play up front of my getting her latest, 5th, and possibly last, album release, 'AIM'. 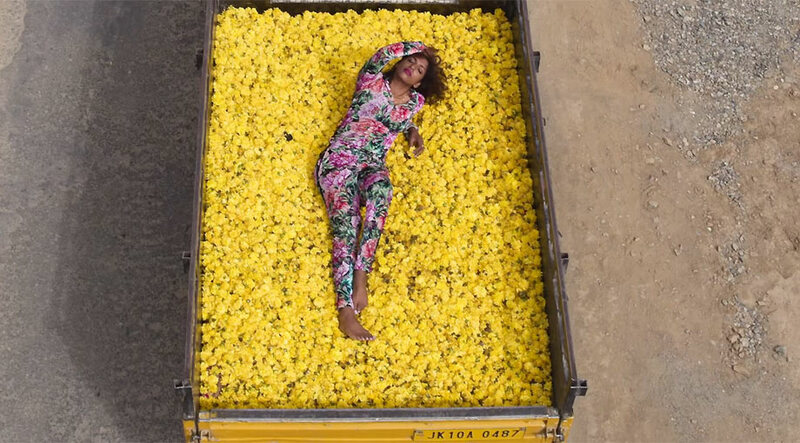 Arriving at M.I.A's latest album with fresh ears, without prejudice and with an optimistic and open mind I find myself more than pleasantly surprised, the twelve track album, her first since 2013's 'Metangi', is not necessarily a revelation but definitely an unforeseen joy. It's bold, in part brash, definitely slightly bonkers and very, very entertaining. If you're after a Bangra beat, Missy Elliot ('Get Your Freak On') influenced, slice of tongue in cheek attitude, completely barmy (not sunny...but out there crazy sh.t) aviary appreciation or even a nod to the Gorillaz, in terms of production and instrumentation, on Johnny Depp's Jack Sparrow ('Fly Pirate') then AIM is for most definitely for you. 'Borders', first released nearly a year ago (where was I, in a cave? ), is the album opener. As with a few of the tracks on 'AIM' it deals with displacement, asylum, immigration or the plight of refugees. Of all of the tracks on the album 'Borders' is probably the most immediately accessible, most overtly commercial and at once engaging. 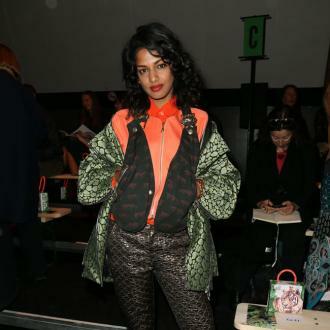 It's dirty beat, snarly delivery and balance of attitude and hook laden harmony is M.I.A at her chart troubling best, It is not however necessarily representative of the rest of the album.....which is to be honest, refreshing. The one thing that makes 'AIM' so appealing is its diversity, curiosity and surprise elements. It's most certainly not boring, is at times challenging and is bang full of individual nuances and plot twists. Its cohesion comes from its creator as the anchor to tie it all together, not from its creation being uniform throughout. 'Jump In' is almost entirely a cappella: a rhythmic chant akin to speaking in tongues. 'Birdsong' (remixed here by Blaqstarr) is a psychotic anomaly of crazed mania pertaining solely to, yes you guessed it, birds. It's brilliantly banana's...."Where's your chicken at, I'm watching like a hawk...I need more birds". 'Fly Pirate' has a wonderfully weird stripped back beat to accompany the mesmeric repetitive vocal whilst A.M.P (All My People) picks up the BPM as well as the attitude with a revolving hook and a blackly comically slant, "I'm not seven, I'm an eleven, the difference is kinda like Devon and Yemen". There are many musical influences on 'AIM' and one that pops up a few times is the Indian, Bangra, slant that twists the nature of each track it's applied to in a wonderfully playful and appealing direction. 'Ali R U Ok' is one such track. The laid back, mildly hypnotic arrangement is very catchy (After hearing it, and because of its repeated use of the title in the lyric, all I now want to hear is for someone to do a Bangra remix of MJ's 'Smooth Criminal' so that I can hear that played through with the repeat of 'Eddy Are You Ok' to the beat of Bollywood!) 'Visa' is another track to use an Asian influence in its delivery. Never has the thought of cruising around in a Toyota Corolla "in socks and slippers" sounded more appealing! It's lyrically inventive, rich with humour and percussively perky. 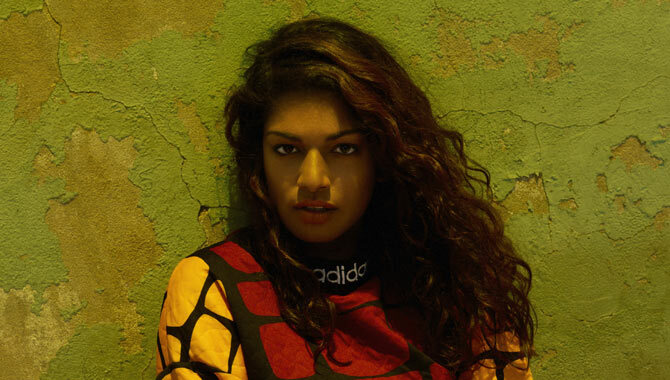 Elsewhere M.I.A enlists the collaborative help of, amongst others, Zayn Malik (Yep, really) on the more soulful, melodic 'Freedun', Dexta Daps on 'Foreign Friend' and producer Skrillex on self-appreciating, 'Go Off' and reverse beat 'A.M.P' making for a high class melange of musical diversity. 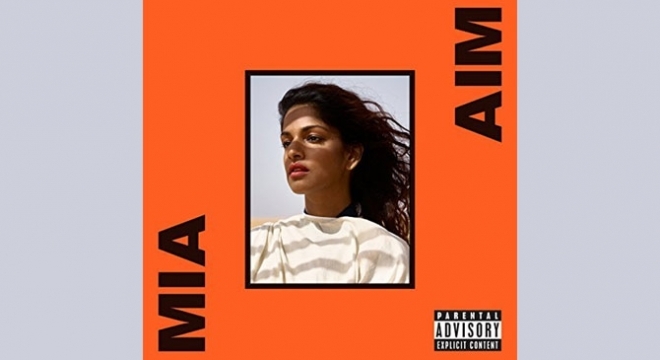 With 'A.I.M' Maya may not have played to some of her previous strengths, however she has continued to push boundaries and explore more musical avenues than ever before. In doing so she has produced a very enjoyable, imaginative, original album full of some inspirational content and a lot of great tracks. "Now holla".